"Delicious! Soft and light. 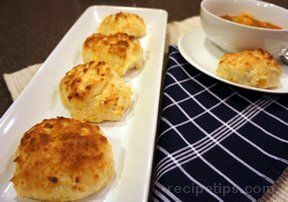 I used reduced fat Bisquick and thought they turned ... read full review"
Stir together the biscuit mix, cheddar cheese and milk until a soft dough forms. Beat with a wooden spoon for about 30 seconds. Spoon onto a greased cookie sheet and smooth down tops to prevent hard points from forming. Bake 8-10 minutes, until tops are brown. 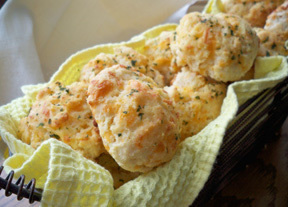 While biscuits are baking, melt the butter in a pan and stir in garlic powder. 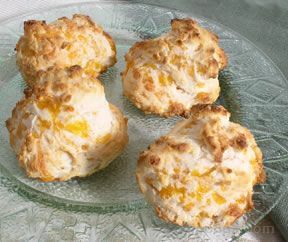 Once the biscuits are done brush the tops with the butter mixture. "Delicious! Soft and light. I used reduced fat Bisquick and thought they turned out perfect. 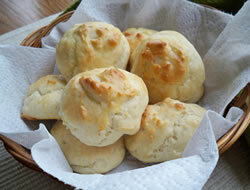 Great with butter and honey."